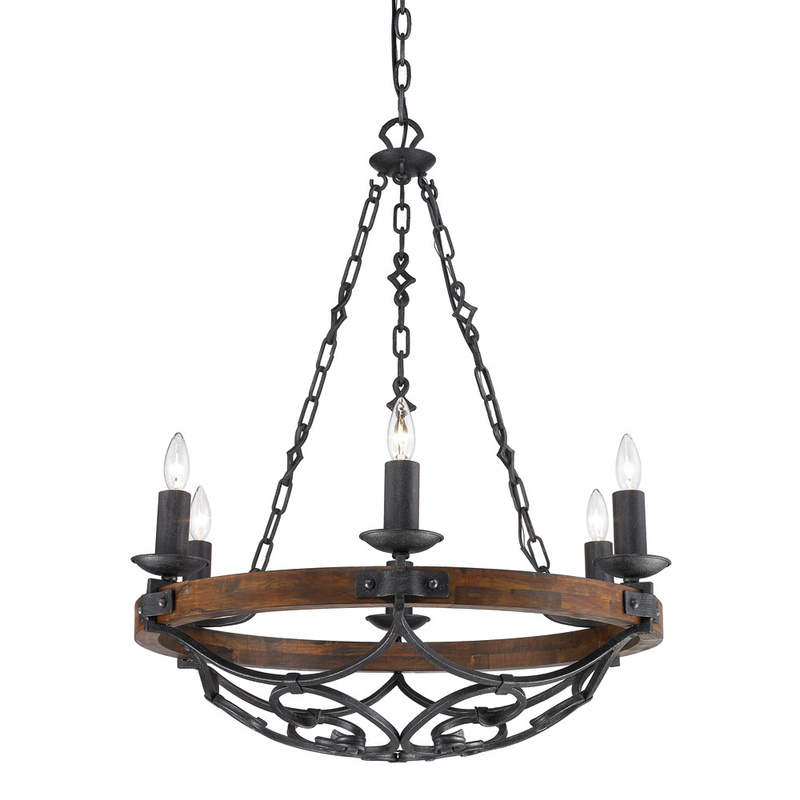 Golden Lighting Madera Collection 6-Light rustic style chandelier in black iron finish, uses six 60-Watt type B incandescent lamps. It measures 28.25-Inch x 33.5-Inch. The detailed metal scrollwork and solid wood accents on the chandelier brings elegance to the house. It features hand-painted Toscano glass panel that casts a warm glow and creates soft light to the surrounding. It comes with 6-ft chain and 10-ft lead wire for easy installation. This chandelier is ideal to use in kitchens. Chandelier is UL/cUL listed.